Note: this is the second post in a two-part series on children's bike safety. You can read our first post, featuring tips to get kids ready to ride, here. 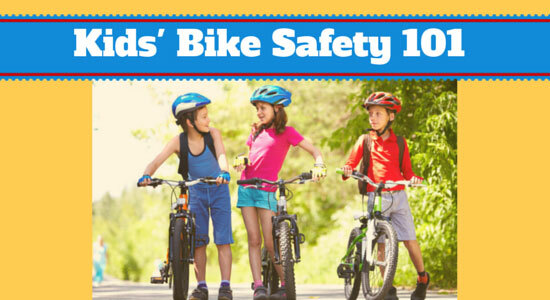 Getting kids the right bike and safety gear is only the first step in helping them stay accident-free on their bicycles. It's also important to review some basic – but important – rules for when they ride their bikes. Not only will it help them make smart bike riding decisions, it will keep drivers aware of what your child is doing on the road. According to safety experts, children younger than 10 should ride on the sidewalk and not the street. Young children should always be supervised by an adult, and when they are old enough to ride by themselves, parents should go over exactly where the child will ride and how long the route should take. Parents should decide when their child is ready to ride on their own based on their child's maturity and how safe their community is. If possible, have your child attend a bike safety class. If your child is allowed to ride on the street, make sure to review these rules. Let your child know that these aren't optional. Always keep your hands on both handlebars. Ride on the right-hand side of the street, in the same direction as the flow of traffic. NEVER ride against traffic. Use designated bike lanes whenever you can. Stop at red lights and stop signs just like cars do. Cross the street at intersections. It's difficult for drivers to see bikes pulling out from between cars. 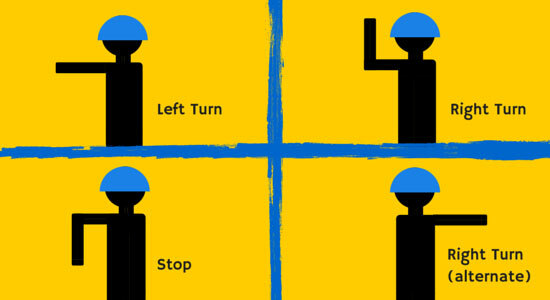 Walk your bike across busy intersections – use the crosswalk and follow traffic signals. Always stop and look for traffic both ways when leaving a driveway, alley, or curb. Don't ride too close to parked cars. Doors can open quickly and unexpectedly. If you're riding with friends, stay in a single-file line. If you pass other cyclists or people on the street, always pass to the left side and call out, "On your left!" It's also a good idea to have a bike safety plan. Run through "what if" scenarios with your child and consider if there's a friend's house they can go to if an emergency happens far away from your home. Sometimes a little bit of planning can go a long way. It's also important to check training wheels often. Many times training wheels are made inexpensively, with the thought that they won't be used long. Make sure they are securely attached and have appropriate wear. Taking the right precautions can go a long way toward keeping your child safe on bike rides, but some things are out of your control. If your child was injured in a bicycle accident – whether it was due to a motorist, a defective bicycle, or dangerous road conditions – we're here to help and are available 24/7.